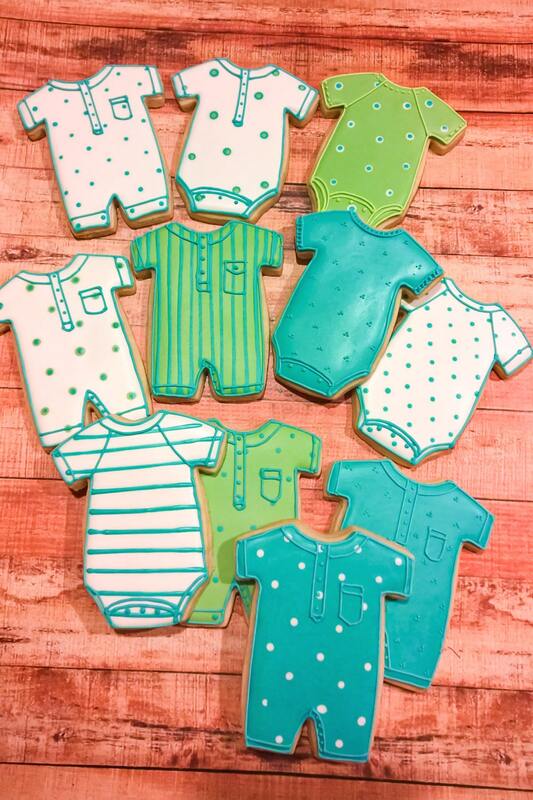 This listing is for 6 baby onesie and 6 romper cookies. The cookies are approximately 3.5 x 4.5 inches. 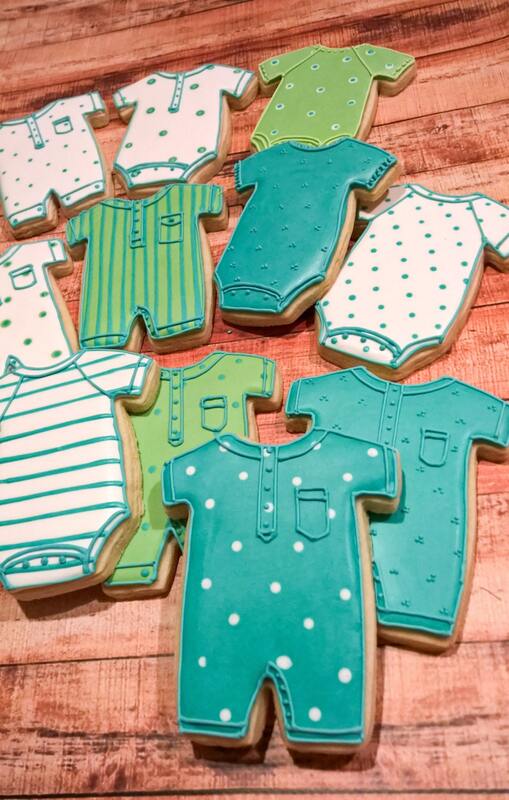 I customer ordered these in pink for a baby shower as a parting gift. She always goes above and beyond with her art, taste and freshness! I will always order from her!! 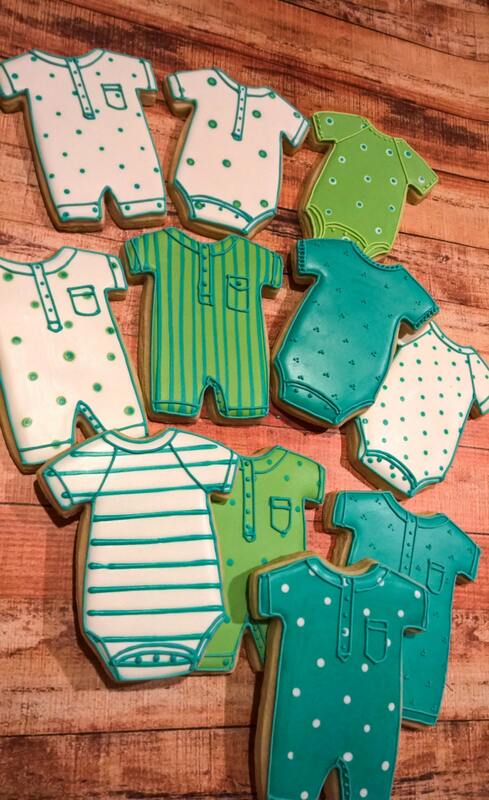 Cookies were an awesome hit at baby shower. 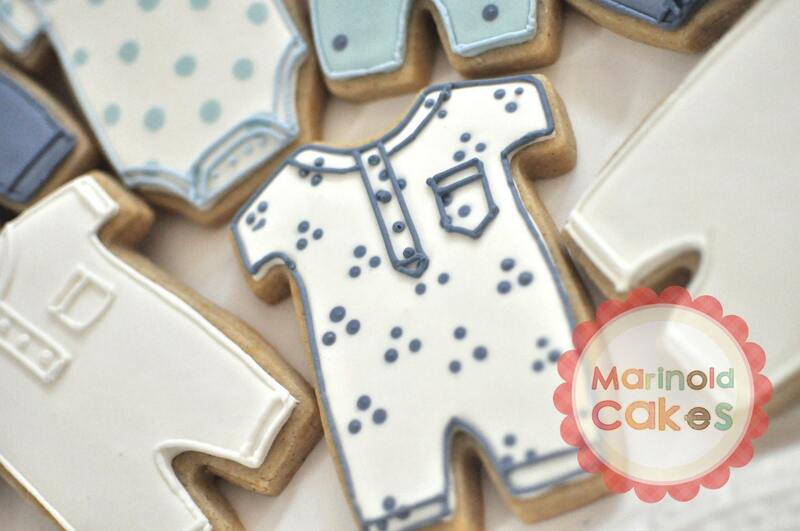 Love the detail you put into each cookie/cookie design. Also your packing is outstanding... Not one cookie was broken!!!! The cookies were so beautiful and so very yummy. 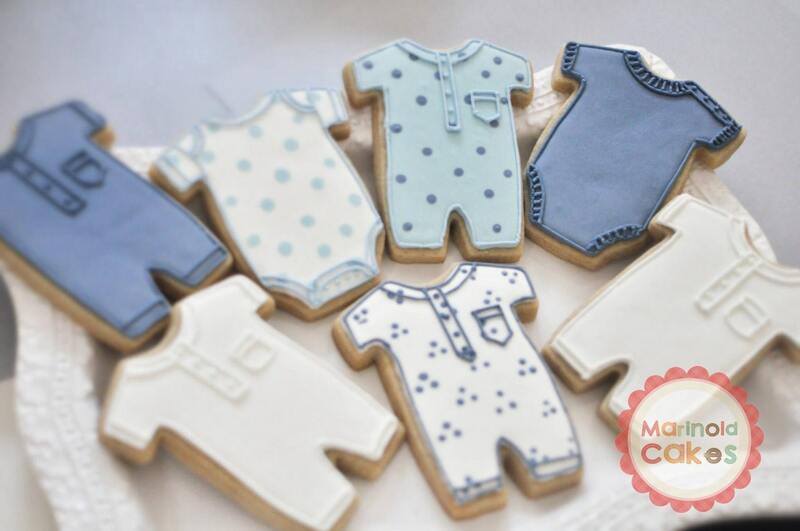 Absolutely delicious and adorable too! My sister went into labor early and I never got to use these for the shower :( but we sat them in her hospital room for the nurses and visitors. They are so fresh and tasty!!!! !